The Nobel Prize in Physiology or Medicine 2015 was conferred to three scientist for their ground breaking researchwork on parasitic disease. 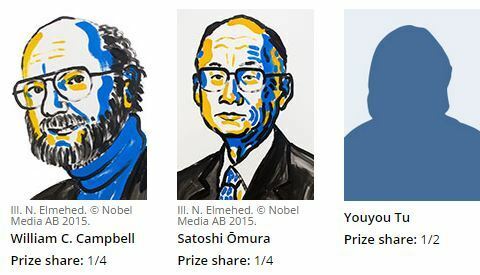 This year Nobel Prize in Physiology or Medicine was divided, one half jointly to William C. Campbell and Satoshi Ōmura “for their discoveries concerning a novel therapy against infections caused by roundworm parasites” and the other half to Youyou Tu “for her discoveries concerning a novel therapy against Malaria”. 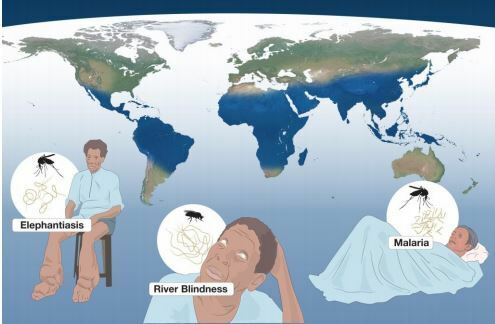 Figure 1: The 2015 Nobel Prize in Physiology or Medicine awards discoveries regarding novel therapies for some of the most devastating parasitic diseases: River Blindness, Lymphatic Filariasis (Elephantiasis) and Malaria. The distribution of these diseases is quite similar and is collectively shown in blue on the world map. We live in a biologically complex world, which is populated not only by humans and other large animals, but also by a plethora of other organisms, some of which are harmful or deadly to us. A variety of parasites cause disease. A medically important group are the parasitic worms (helminths), which are estimated to afflict one third of the world’s population and are particularly prevalent in sub- Saharan Africa, South Asia and Central and South America. River Blindness and Lymphatic Filariasis are two diseases caused by parasitic worms. As the name implies, River Blindness (Onchocerciasis) ultimately leads to blindness, because of chronic inflammation in the cornea. Lymphatic Filariasis, afflicting more than 100 million people, causes chronic swelling and leads to life-long stigmatizing and disabling clinical symptoms, including Elephantiasis (Lymphedema) and Scrotal Hydrocele (Figure 1). Malaria has been with humankind for as long as we know. It is a mosquito-borne disease caused by single-cell parasites, which invade red blood cells, causing fever, and in severe cases brain damage and death. More than 3.4 billion of the world’s most vulnerable citizens are at risk of contracting Malaria, and each year it claims more than 450 000 lives, predominantly among children (Figure 1). After decades of limited progress in developing durable therapies for parasitic diseases, the discoveries by this year’s Laureates radically changed the situation. Satoshi Ōmura, a Japanese microbiologist and expert in isolating natural products, focused on a group of bacteria, Streptomyces, which lives in the soil and was known to produce a plethora of agents with antibacterial activities (including Streptomycin discovered by Selman Waksman, Nobel Prize 1952). 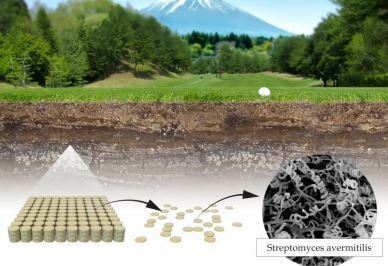 Equipped with extraordinary skills in developing unique methods for large-scale culturing and characterization of these bacteria, Ōmura isolated new strains of Streptomyces from soil samples and successfully cultured them in the laboratory. From many thousand different cultures, he selected about 50 of the most promising, with the intent that they would be further analyzed for their activity against harmful microorganisms (Figure 2). Figure 2: Satoshi Ōmura searched for novel strains of Streptomyces bacteria as a source for new bioactive compounds. He isolated microbes from soil samples in Japan, cultured them in the laboratory (inset to left) and characterized many thousands of Streptomyces cultures. From those, he selected around 50 cultures that appeared most promising, and one of these cultures later turned out to be Streptomyces avermitilis (inset to right), the source of Avermectin. William C. Campbell, an expert in parasite biology working in the USA, acquired Ōmura’s Streptomyces cultures and explored their efficacy. Campbell showed that a component from one of the cultures was remarkably efficient against parasites in domestic and farm animals. The bioactive agent was purified and named Avermectin, which was subsequently chemically modified to a more effective compound called Ivermectin. Ivermectin was later tested in humans with parasitic infections and effectively killed parasite larvae (microfilaria) (Figure 3). Collectively, Ōmura and Campbell’s contributions led to the discovery of a new class of drugs with extraordinary efficacy against parasitic diseases. Figure 3: William C. Campbell discovered that one of Ōmura’s Streptomyces cultures was very effective in killing off parasites and the active compound, Avermectin, was purified. 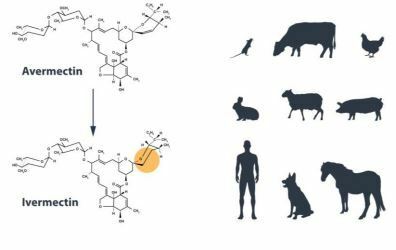 Avermectin was further modified to Ivermectin, which turned out to be highly effective in both animals and humans against a variety of parasites, including those that cause River Blindness and Lymphatic Filariasis. Malaria was traditionally treated by chloroquine or quinine, but with declining success. By the late 1960s, efforts to eradicate Malaria had failed and the disease was on the rise. At that time, Youyou Tu in China turned to traditional herbal medicine to tackle the challenge of developing novel Malaria therapies. From a large-scale screen of herbal remedies in Malaria-infected animals, an extract from the plant Artemisia annua emerged as an interesting candidate. 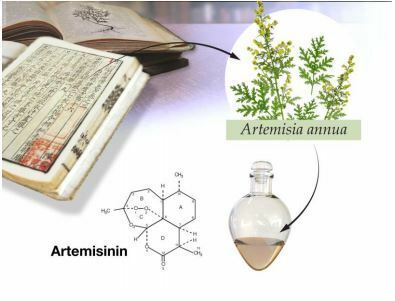 However, the results were inconsistent, so Tu revisited the ancient literature and discovered clues that guided her in her quest to successfully extract the active component from Artemisia annua. Tu was the first to show that this component, later called Artemisinin, was highly effective against the Malaria parasite, both in infected animals and in humans (Figure 4). Artemisinin represents a new class of antimalarial agents that rapidly kill the Malaria parasites at an early stage of their development, which explains its unprecedented potency in the treatment of severe Malaria. Figure 4: Youyou Tu searched ancient literature on herbal medicine in her quest to develop novel malaria therapies. The plant Artemisia annua turned out to be an interesting candidate, and Tu developed a purification procedure, which rendered the active agent, Artemisinin, a drug that is remarkably effective against Malaria. The discoveries of Avermectin and Artemisinin have fundamentally changed the treatment of parasitic diseases. Today the Avermectin-derivative Ivermectin is used in all parts of the world that are plagued by parasitic diseases. Ivermectin is highly effective against a range of parasites, has limited side effects and is freely available across the globe. The importance of Ivermectin for improving the health and wellbeing of millions of individuals with River Blindness and Lymphatic Filariasis, primarily in the poorest regions of the world, is immeasurable. Treatment is so successful that these diseases are on the verge of eradication, which would be a major feat in the medical history of humankind. Malaria infects close to 200 million individuals yearly. Artemisinin is used in all Malaria-ridden parts of the world. When used in combination therapy, it is estimated to reduce mortality from Malaria by more than 20% overall and by more than 30% in children. For Africa alone, this means that more than 100 000 lives are saved each year. The discoveries of Avermectin and Artemisinin have revolutionized therapy for patients suffering from devastating parasitic diseases. Campbell, Ōmura and Tu have transformed the treatment of parasitic diseases. The global impact of their discoveries and the resulting benefit to mankind are immeasurable. William C. Campbell was born in 1930 in Ramelton, Ireland. After receiving a BA from Trinity College, University of Dublin, Ireland in 1952, he received a PhD from University of Wisconsin, Madison, WI, USA in 1957. From 1957-1990 he was with the Merck Institute for Therapeutic Research, from 1984-1990 as Senior Scientist and Director for Assay Research and Development. Campbell is currently a Research Fellow Emeritus at Drew University, Madison, New Jersey, USA. Satoshi Ōmura was born in 1935 in the Yamanashi Prefecture, Japan and is a Japanese Citizen. He received a PhD in Pharmaceutical Sciences in 1968 from University of Tokyo, Japan and a PhD in Chemistry in 1970 from Tokyo University of Science. He was a researcher at the Kitasato Institute, Japan from 1965-1971 and Professor at Kitasato University, Japan from 1975-2007. From 2007, Satoshi Ōmura has been Professor Emeritus at Kitasato University. Youyou Tu was born in 1930 in China and is a Chinese citizen. She graduated from the Pharmacy Department at Beijing Medical University in 1955. From 1965-1978 she was Assistant Professor at the China Academy of Traditional Chinese Medicine, from 1979-1984 Associate Professor and from 1985 Professor at the same Institute. From 2000, Tu has been Chief Professor at the China Academy of Traditional Chinese Medicine. tankeshwar: Dear Pham Khan Use ctrl+p option and save as PDF. You can print it.